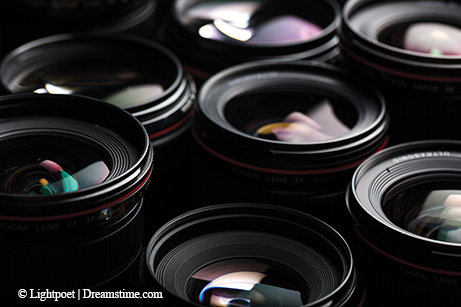 Zoom lenses offer quality alternatives to traditional single-focal-length lenses. For years, serious wildlife photographers have hauled around bulky single-focal-length telephoto lenses to shoot animal close-ups. While the results are sharp, these behemoth lenses can be heavy and difficult to manage in the field. Additionally, the photographer is limited to the fixed magnification of the lens. Thankfully, and just in time to save this aging photographer’s back, lens designs have improved, and now there are many great (and lighter weight) zoom lenses that are quality alternatives to traditional single-focal-length lenses while offering the advantage of variable magnification. Traditionally, telephoto lenses in fixed focal lengths ranging from 300mm to 600mm have been the staple of the professional wildlife photographer. Their bulk makes them hard to handle, especially when trying to shoot handheld, and a tripod is often required. Much of their weight (and cost) is attributed to the large, glass elements of the wide lens openings required to gather light in those early morning and late evening periods when wildlife are active. Although much more practical by providing variable magnifications, earlier zoom lenses were often frowned upon by professionals because of the compromise (loss) in image quality as a result of the many moving elements required. Resulting images were not as sharp as those shot with a prime, single-focal-length lens, and a variety of aberrations can show up in the photos. Today’s zooms have come a lot closer to meeting the expectations of serious wildlife photographers. Their lighter weight, variable-zoom ranges and rapid autofocus systems make it easier for photographers to operate the camera in the field for those spontaneous instances of animal behavior. Much of their weight reduction (and cost) is due to their smaller maximum aperture. Although zooms are not as “fast” as fixed-magnification lenses in their light-gathering ability, the extra light needed can be gathered by leveraging the sensitivity of newer sensors and shooting at a higher ISO without loss of quality. Whereas a prime lens might have a maximum aperture of f/2.8 or f/4, most zooms will vary between f/4.5 and f/5.6 — about a one-stop difference. Additionally, most zooms will now come with some type of internal image stabilization, which can provide up to four shutter speed steps of correction — meaning it is easier than ever to get sharp telephoto images without using a tripod. 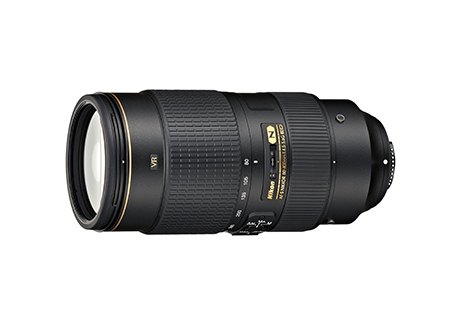 Nikon AF-S NIKKOR 80-400mm f/4.5-5.6 G ED VR With a zoom range of 80-400mm, this compact lens can be an ideal medium-telephoto portrait lens as well as a super-telephoto wildlife lens. It features Nikon’s famed ED (extra-low dispersion) glass along with in-lens vibration reduction, which provides up to four stops of blur-free handheld shooting. 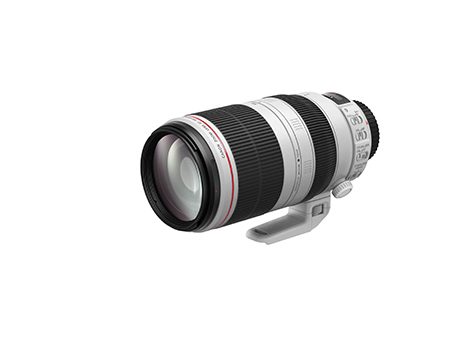 Canon EF 100-400mm f/4.5-5.6L IS II USM With a host of improve­ments, this second generation of Canon’s venerable 100-400mm zoom lens is a pleasure to work with in the field, especially when shooting handheld. It’s fast and accurate, and its quiet autofocus is an asset when photographing or videoing skittish wildlife. Its optical image stabilization (OIS) provides up to four stops of shutter-speed compensation. Tamron 150-600mm f/5-6.3 Di VC usd Tamron kicks up the zoom range a notch with its 150-600mm version, which can be adapted to many Canon, Nikon or Sony cameras. 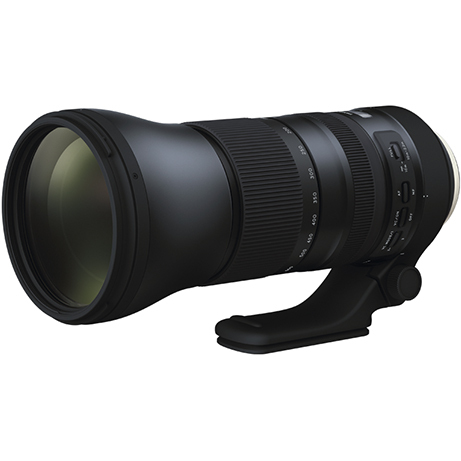 When teamed with either a 1.4X or 2.0X Tamron teleconverter, this lens can reach out to almost any critter, and the Tamron’s VC (vibration compensation) features ensure the photos will be tack sharp. Please send questions and comments to Earl at earl.nottingham@tpwd.texas.gov. For more tips on outdoor photography, visit the magazine’s photography page at www.tpwmagazine.com/photography.